Become a Student Member of ADHA. ADHA is the professional organization that represents the student voice and is open to all students enrolled in entry level and graduate level dental hygiene programs throughout the country. By becoming a Student Member you have taken a significant step in your future and have chosen to enter an important role in the oral health care profession. Whether you have just started school, or are close to graduation, ADHA Student Membership is your critical link to the dental hygiene profession. 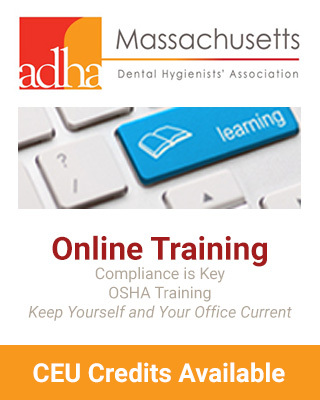 To become a member of the Massachusetts Dental Hygienists Association (MDHA), and in turn the component in your area, you need to join the American Dental Hygienists' Association, (ADHA). With membership in ADHA each hygienist is also a member of their state constituent and local component. ADHA dues includes dues for MDHA and the local component.